6:50 Tour - SOLD OUT! Since we can't go down Hwy 1, we'll break-up the 101 route by going down CA 25 through Hollister, then Bitterwater Road into King City, before getting back on Hwy 101 for our drive to Morro Bay. After lunch we will go up Hwy 1, stopping in Harmony, before arriving into Cambria. There are a few restaurants on Moonstone Beach, most do NOT take reservations. Upper and lower Cambria have other restaurants to choose from based on your own preferences. You can still select a different tour time, you just won't be with the NorCal MINIs group. I will be staying at the Sand Pebble Inn on Moonstone Beach in Cambria. 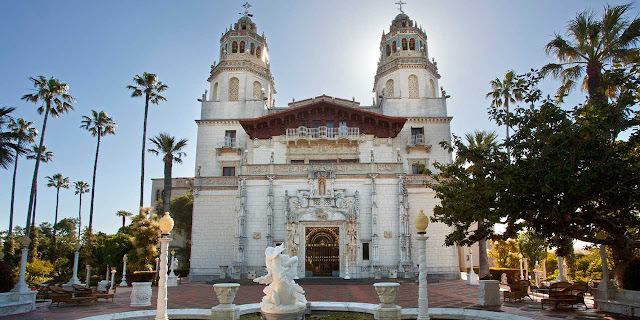 You can also check San Simeon for other hotel choices. Enjoy your morning! Visit shops & stores of Cambria. Go to Pismo Beach. Search for the NorCal MINI pin somewhere on a scarecrow in West or East Cambria. FIRST person to find, take a picture of themselves with scarecrow(s) and text me the picture gets the goodie bag...including the bag.